It is free. This platform it be, but making them work can cost time, money and effort. In fact, many large companies now budget for it – how about you. It is for kids. Yet almost half of Facebook users in Britain are over 30 and on LinkedIn the majority are aged over 35. Something to think about. Set up accounts and they walk like magic. They don’t, hence the rise of community managers to work on them full-time. That is why i’m introducing the Social Media Plan of Attack. Why social media and the benefits of harnessing on the power of social media sites like Facebook and Twitter. The 4 step social media plan of attack for you to follow to effectively use social media. How to create a social media schedule to follow so you can stay consistent. How to grow the number of fans and followers on your social pages and profiles. 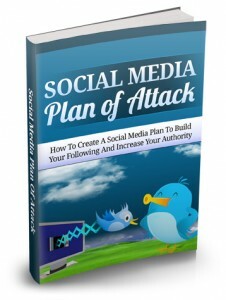 To get more information on Social Media Plan of Attack – click here.